A picnic at Lunken Park at 3 PM. 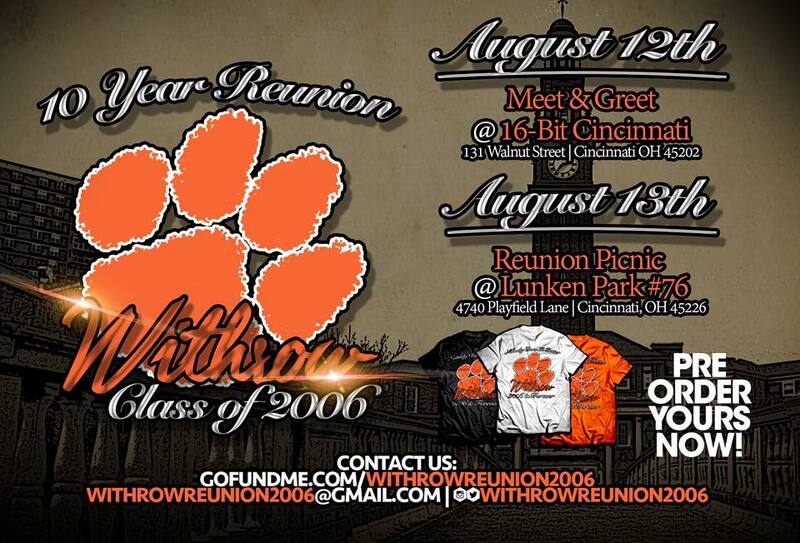 To host the reunion at Lunken Park, we need to collect $5oo to cover the cost of renting the park, dinner, DJ, T-shirts and caterer. This means we need a minimum of 20 people making reservations. I look forward to seeing everyone.